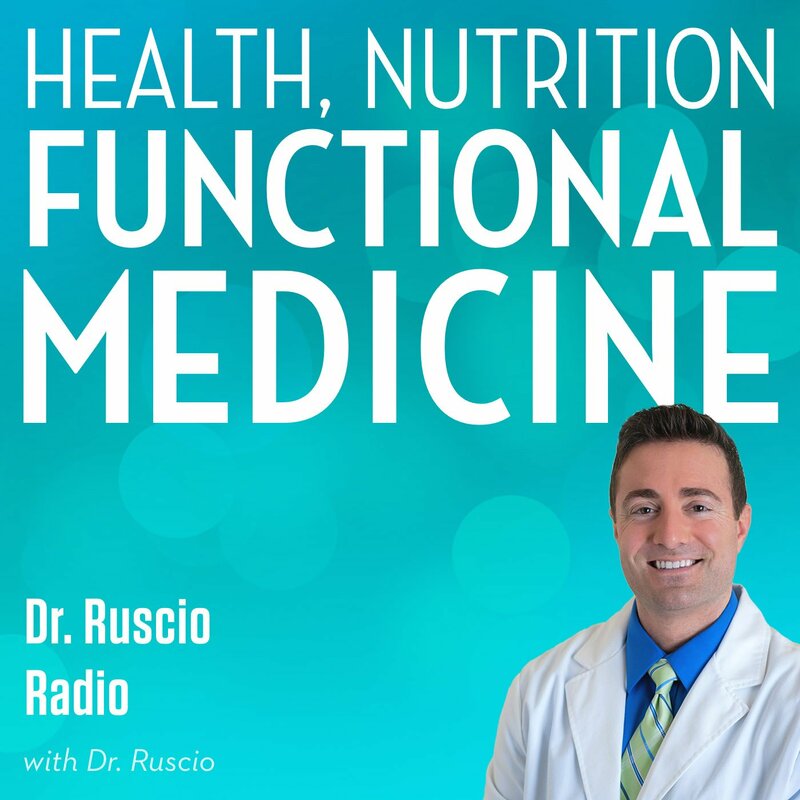 Dr. Ruscio discusses dietary interventions, prokinetics, methane’s relationship with obesity and answers listener questions in part two of this series on Small Intestinal Bacterial Overgrowth (SIBO). Simas Pečiūra Why do some people get SIBO post food poisoning, but most don’t? Does it depend on general susceptibility to autoimmunity? Is it possible to restore normal motility and heal those ICC cells? Does the autoimmune response to gut nerves happen only during acute phase of food poisoning, or does it continue like other forms of autoimmunity? Linda Needless Melendez Curious if you have anything to say about ileocecal valve syndrome and SIBO. We don’t hear a lot about inflammation in the ileocecal valve which keeps it from opening and shutting properly. I have noticed that by massaging the area over the ileocecal valve, I can get my hiatal hernia to go back down. I have only found information about this from the field of Applied Kinesiology. There is an emotional connection to be explored here as well. Tiffany Hudak I too-like Linda would be interested to know connection with ileocecal valve. Thinking I have both issues going on. Gastro has prescribed Augmentin 875 BID x 2 weeks…haven’t started yet-what’s your opinion on abx of choice? And where can I listen to podcast once it’s recorded? Susan McCauley: Hey, everyone, this is Susan McCauley, certified nutritionist from EvolveNutrition.com, and I’m here with the Doc! Hey, Dr. Ruscio. How’s it going? Dr. Michael Ruscio: Hey, Susan. I’m good, I’m good. How are you? SM: I’m hanging in there on rainy California day. DR: Yeah, not usual for us, but it is a cold, raining day today, for sure. SM: Yes, and we do need it – the farmers out here needed it so much. SM: So, even though I don’t like rain, I put up with it so we can have good food in California. DR: That’s a reasonable trade-off, right? SM: Definitely. So, today is Part 2 in our series on small intestinal bacterial overgrowth. DR: Yes, and in the last installment we covered kind of the first half of the conversation, which is: What is SIBO, how can you treat SIBO? And now today we’ll go into – OK, once you’ve gotten over SIBO, once you’ve objectified SIBO is cleared, how can you prevent SIBO from coming back. SM: Sounds like another great topic. If you haven’t yet listened to the first part, go on iTunes and listen to Part 1 in our series. But, before we get started, I like to remind people that if they have questions or comments about today’s discussion, they can head over to Dr. Ruscio.com where they can ask questions or leave comments on the blog post for today’s podcast. OK, Dr. R, tell us more. DR: Well, I want to start off by thanking everyone for bearing with us. This is actually only the second podcast that we have recorded together. And I think we’re doing a pretty good job, but I am sure there are some things that may not be completely smoothed out. So, thank you for your patience, everyone, for kind of bearing with Susan and I as we fumble through trying to get proficient at podcasting here. To go into the second part of the conversation, what do you do to prevent SIBO from coming back once you’ve treated it. So, there are a couple things you can do. The basic outline: There is a dietary piece, and then there is a pro-kinetic piece. So, once you’ve objectified that SIBO has cleared, hopefully with a breath test, then it’s a good idea to go on to a low fodmap diet. So, fodmap stands for fermentable oligo- di- monosaccharides and polyols. And these are just carbohydrates that have a lot of prebiotic ability, meaning they really in encourage and feed bacterial growth, which, generally speaking, is a good thing because bacteria are good for your gut. However, in SIBO, if you have too much bacteria, that can become problematic. So, to prevent SIBO from coming back, you go on a diet that is low in prebiotic, essentially. And that’s what the low fodmap diet essentially is. Now, we’ll use a low fodmap diet for what I would term mild-to-moderate cases of SIBO. If, however, it’s a severe case of SIBO, then I will use the low fodmap in conjunction with the SCD restrictions, or specific carbohydrate diet. The nuance difference there is the fodmap diet doesn’t eliminate certain polysaccharides and disaccharides – certain grains and certain starchy vegetables. For people that have really, really sensitive guts and/or a really, really tough case of SIBO, doing the low fodmap with the SCD diet – kind of like a combo diet – that tends to work really well for severe cases. SM: And, how long would one do either fodmap of fodmap in conjunction with SCD? DR: Well, what I like to do is get a patient to a point where they’re stable for at least three months, and then going to a reintroduction. And a reintroduction would just be starting to introduce the foods that you cut out – just like when you do a typical cut out dairy for 30 or 60 days, and then bring it back in, or cut out eggs and bring it back in, or cut out nuts, and bring it back in. Same thing here where you would cut out the fodmap pf SCD foods, and after 30-60 days you would bring them back in. There is not a one-size-fits-all approach for people that seem to be responding really, really well – and it’s a very mild case, we might do a reintroduction after a month. For progress cases, we may wait a full six months. So, there’s no one-size-fits-all. But the guiding principle is: Once you’ve been feeling well for at least a couple months, and then try to bring back in some of the foods that you cut out. And that’s where you individualize which foods you can tolerate, and which foods you can’t tolerate. Most patients will find that their general tolerability for these foods is good, but they have a couple foods that they really don’t do well with – meaning, they get gas, bloated, or they have a loose stool or they have constipation. And so, maybe 70-80% of the foods that can reintroduce with no problem, but they have a few trigger goods they have to be careful with going forward. SM: And I guess this brings up another good point that, it really makes it a lot easier to work with practitioner when we’re going through the reintroduction – of course for the treatment phase – but for the prevention phase to work your way all the way through it with a practitioner. DR: Yes, I think so because it can be difficult to sort all these things out when you’re just kind of in your own head. I agree with you. I think working with a petitioner is very helpful. There’s that old saying that the doctor treats himself has a fool as a patient, and I think that definitely holds true. SM: So, pro-kinetics. That has kind of been a hot topic. It comes up a lot on Facebook, out in the blogosphere. What are pro-kinetics? DR: The grumbly belly, exactly. That is the migratory motor complex, that is that cleaning wave. So, one of the easiest, simplest, cheapest, most-natural, definitely, ways you can stimulate that is going four-to-five hours in between meals. DR: Right, that’s a great point. SM: So, we want to be fat-adapted, and we want to be on a paleo-style diet, so we are able to go 4-to-5 hours without eating. DR: Exactly. And it also answers the question I can hear people asking, which is, ‘Well, isn’t four hours, five hours too long for my adrenals?’ And, that’s definitely something you have take on a case-by-case basis. But, generally speaking, I think if you’re somewhat adapted to a lower-carbohydrate diet, then certainly four hours is not to be enough to set up off. DR: Sure, that’s a great point. SM: The free pro-kinetics. So, what comes next? DR: It’s almost spicy, right. It can be very strong anti-inflammatory and has a lot of good benefits. But, for people that may have a little of a sensitive gut, Ginger may not be well tolerated, and that’s what I’ve seen with motilpro. So, what I’m using more so now, and excited with the potential, is a different compound known as an iberogast. This, I believe, comes out of Germany. I had been using it on and off, but again, my preference was motilpro, I’m seeing the ginger burn with motilpro, so now we’re using more iberogast – which has surprisingly good studies supporting its use. So, (of) your options for natural pro-kinetics: motilpro may not be great because of all because of the ginger intolerability; iberogast, my favorite right now; and you could also do straight ginger, but, again, ginger can be problematic. So, those are the natural agents. There are also a few pharmaceutical agents – and this is something else that it was nice to have conversation with Dr. Siebecker to kind of compare notes and get her input on this, especially as someone who exclusively treats SIBO. The way I would order these from quote-unquote best to the least effective would be: Resolor or prucalopride – it’s the same medication, just different names, first; seconded by low-dose erythromycin; and then, finally, followed by low-dose naltrexone. SM: Those are just the prescription medications. Are there ones you want to watch out for? And not be careful, and if your doctor prescribes these, you want to say, “Maybe there’s an alternative?” Is there anything people need to be careful about? DR: Well, it’s certainly something where you want to work with your doctor, in terms of if you’re going to use especially a pharmaceutical pro-kinetic, because some of the pro-kinetics can have impact on your the cardiovascular system. It may be a good idea to track what is called your QT interval while on these. Tegaserod was a pro-kinetic that was taken off the market because of cardiovascular complications. And, while it only occurred in a small number of patients, certainly cardiovascular conditions can be a big deal. Resolor seems to be very well tolerated, as does erythromycin and low-dose naltrexone. The main side effect that seems to be reported with LDN, and potentially erythromycin, is just insomnia. But you do want to work with your doctor. Just be familiar with the side-effect profiles and just make a choice that’s right for you. SM: OK. So let’s move onto the next important issue – the methane, the metabolism, and obesity. DR: Yes. So, this is something that I think is really, really interesting. And this is very, very recent information coming out of Cedars-Sinai and from Mark Pimentel’s group, mainly. What they’ve shown is that methane and hydrogen SIBO is correlated with obesity. But not just obesity with weight gain and somewhat normal-weight adults, and that’s important because I think certainly helping an obese population is great. But, a lot of times the people who are listing to these podcasts or reading these articles aren’t obese. They’re just a little overweight. And we extrapolate from the obese studies to the somewhat normal-weight population. But, in this case, we don’t have to, because we have information, we have data showing that this applies for obese, yes, but also for normal, somewhat normal weight individuals. Essentially, they found that, again, if you have high hydrogen and high methane SIBO, that correlates with significant weight gain. I’m not talking just 4-5-6 pounds. We are talking 10- 15-20 pounds, even in normal-weight individuals. So, it’s a significant amount of weight gain. And the mechanism they think is at play is as follows: When you have these bacteria that produce hydrogen, the hydrogen gas they produce functions as a reciprocal inhibitor that stops further growth of hydrogen-producing bacteria. So, you have a colony of bacteria that produce hydrogen. And once hydrogen builds up, the bacteria sense that high-level of hydrogen and they say, ‘OK, we’re going to t stop growing now because we’ve seen a lot of hydrogen in the gut, and that’s our signal to stop growing.’ However, methane organisms actually use up hydrogen gas to make methane gas. So, they way you can picture is, you have a bunch of hydrogen bacteria and a bunch of methane-producing archaea. The hydrogen-producing bacteria secrete a bunch of hydrogen gas, and that gas would normally signal those bacteria to stop producing more gas once some gas builds up. But, the methane-producing archaea are eating up all that hydrogen. And so, what happens is, the hydrogen-producing bacteria never get the signal of hydrogen buildup that tells them to stop growing. So they keep growing, and growing, and growing, and growing, and growing. As the hydrogen colony overgrows, as they start to produce a lot of energy is a byproduct of the metabolism, and that gives a lot of free energy to the host, and it seems to create to some extent an energy excess, and that’s correlated with obesity. So, I know it’s kind of deep mechanism; did that, hopefully, make a little bit of sense? SM: Yeah, it did. It’s like it’s cycling out of control almost, because you got too much methane, too much hydrogen, too many organisms. I mean, it just seems like it can just be a recipe for disaster. DR: Exactly. It’s a cascade. And the methane-producing archaea kind of throw off the whole check-and-balance system in the gut. Exactly. What’s really interesting about this is, it’s one thing to show correlation, but it’s another thing the have a clinical intervention. And I’m really big at looking at clinical intervention data. Just because you show one thing accompanies the other does not need that treating that is going to have a beneficial effect. But we do have two studies again from Pimentel’s group that have shown reduction in total cholesterol after treating SIBO, reduction in LDL cholesterol after treating SIBO, and increase insulin sensitivity after treating SIBO, and specifically hydrogen-methane SIBO. SM: Wow, so that is really fascinating, that just treating one thing can have so much of a cascade effect to heart disease, and diabetes, and metabolic syndrome issues. DR: Yes, it’s really interesting stuff and hopefully we’ll learn even more about this in the future. SM: And so you touched on archaea, and that goes hand-in-hand with biofilms. I know we talked little bit about biofilm in the last podcast, but do you want to touch on it again? DR: The one note I wanted to make here was that archaea, again according to some recent findings from Mark Pimentel that are not published, archaea also seemed to produce biofilm. So we know that bacteria produce biofilm. However, archaea, which are the organisms that secrete methane and cause methane SIBO, those are not bacteria, they are a different class of organism altogether. So, the question has been: Do these archaea produce biofilm, and should we potentially consider using an anti-biofilm agent in their treatment or not? Pimentel has recently uncovered that archaea do produce biofilm. SM: Well, I think we’re at a point we can take some listener questions that we got on the Facebook page. DR: Yes, we have some smart people plugging in on Facebook, so I’m excited to try to tackle some of their questions. DR: Got you. So, let’s start with Part 1, which is: Why do some people get SIBO post-food poisoning but others don’t? Does it depend on general susceptibility to autoimmunity? And, just to review: The odds of developing irritable bowel syndrome are six-or seven-fold increased after you have an acute gastrointestinal infection. Or, said another way, 10% of people develop IBS after they have a gut infection. So, I would say that yes, there seems to be genetic susceptibility in, probably, 10% of people. We don’t know for sure if that correlates with susceptibility to other forms of autoimmunity, because the knowing that SIBO is autoimmune is such a new understanding that, to my knowledge, no one has asked that question and answer the question in the study. We do have studies, for example, looking at the correlation between Hashimoto’s and rheumatoid arthritis, or multiple sclerosis and arthritis, or what have you. But, I don’t think there’s any data published yet looking at the correlation between this gut autoimmunity we see in SIBO and other forms of autoimmunity. However, that being said, it does seem that there’s a general trend that emerges where, when you have one for of autoimmunity, you’re at heightened risk for other forms of autoimmunity. So I would think yes; that if you have SIBO, you may have a higher incidence or higher chance of developing something like Hashimoto’s or rheumatoid arthritis. But, it’s also very, very important to mention that, if the environment is appropriate, you either will increase or decrease your chances of expressing that gene. So, just because you have SIBO doesn’t mean you’re going to form Hashimoto’s, as long as you keep the environment the genes are exposed to appropriate. So, it’s not to say you’re dealt this terminal hand that you can’t do anything. I think you can do a lot about it. SM: Right, it’s diet and lifestyle. SM: So Part 2: Is it possible to restore normal motility and heal those ICC cells. DR: So, this this is another great question. I think part of the perspective people are getting at with this is: “OK, I have SIBO. We now understand that SIBO is autoimmune. Does that mean I have this autoimmune process in gut? Do I have to be afraid of this? Is this something that I am going to be dealing with for the rest of my life? Is this something that I can’t cure, I can’t get past?” Are people going down this road of fear? I don’t think that is warranted. So, a couple things I want to outline: To put it simply, we do not know for sure. So the science says we do not know for sure. But I’m going to speculate what I think based upon the evidence that we do have and draw a an inference. So, I think you can recover the ability for these ICC cells to work. And you hear part of my rationale for saying that. One, remember that we evolved from a long line of hunter-gatherers, highly omnivorous hunter-gatherers, scavengers, that ate kind of whatever was available. And, it’s very likely that we occasionally got food poisoning during our development. So, to think that we have no mechanism that we’ve evolved no mechanism to allow us to recover from food poisoning without suffering long-term damage is a little bit silly. Does that make sense, Susan? Are you with me on that? SM: It totally does. And I think over stressing about situations like that just adds fuel to the fire. We stress ourselves out that were going to have this thing forever, and then that just kind of prolonged the misery. DR: Exactly. And I don’t want people to go to that place, because I absolutely think it’s unwarranted, for that one evolutionary perspective I just painted. But also, the ICC cells are neuromuscular; they are part muscular and part nerve. Muscles have some ability to regenerate, nerves as we understated it, have significantly less ability to regenerate. However, they have incredible what is was called plasticity, meaning if you injure one neuron, all the other neurons around it can reconfigure themselves to compensate for that one missing neuron. That’s why people can have brain injuries and undergo miraculous recoveries, because the brain is so plastic. So, there is a degree of plasticity with nervous tissues. That’s some of the contextual backdrop. If we look at more of what the science shows – and, again, we will try to include these references the show notes, just so people can kind of peruse some of the science – it’s been shown in animal models somewhat conclusively that these ICC cells, or these interstitial cells of cajal that are damaged by an autoimmune process and SIBO, have the ability to regenerate. Guinea pigs have been the animal model have been most studied, where there seems to be two general models used where they either surgically remove some of these ICC cells, and then they see new ICC sales pop up. Or, they induce damage to the ICC cells with toxins. They also see either new ICC sells pop up with time, or they see the function of the intestines restore, probably due to this plasticity. So, there’s definitely some hard scientific evidence showing that this is not a terminal diagnosis, and you shouldn’t freak yourself out, so to speak, and think that your whole life is going to be changed because you have SIBO. I think it’s something that is very well treatable, and that people can get past it. SM: Great, that’s quite a relief. DR: Yeah, I think especially autoimmunity, people tend to get somewhat freaked out. Especially patients that I see with thyroid think that they will never be the same again. It’s not true, and I think it’s a really a damaging mentality to have because it creates so much stress. SM: So, Part 3: Does the autoimmune response to gut nerves happen only during acute phase of food poisoning or does it continue like other forms of autoimmunity? DR: Also great question from Seamus. We do not know at this time. There is some evidence suggesting that the autoimmunity may be prolonged. And there is some evidence showing that it may not be prolonged. There was one paper that looked at epithelial lymphocytes and leaky gut markers after a Campylobacter infection. And they did find that the epithelial lymphocytes and leaky gut markers remained elevated for one year after the infection. And epithelial lymphocytes are just a type of white blood cell that that may be involved in autoimmunity; it’s definitely involved in immune response. So, we saw these not-good alterations happen for a year after an acute infection. That suggests they may be more long-term. However, on the other side of the coin, every day we see people who get tested for SIBO, get treated for SIBO, and become negative for SIBO, and recover completely and are fine. We also see just some really simple, real-world observations that people get over SIBO every day. That suggests that this autoimmune is not long-term. SM: It also suggests it’s just a very treatable disease. SM: So the next question is from Linda M. She’s curious if you have anything to say about ileocecal valve syndrome in SIBO. We don’t hear a lot about inflammation ileocecal valve, which keeps it from opening and shutting properly. She’s noticed that by massaging the area over the ileocecal valve, she can get her hiatal hernia to go back down. And then we also had a similar question. Tiffany H. would like to know the connection with the ileocecal valve. DR: Sure, and both of these are great questions. The ileocecal valve – I’ve heard mostly, in agreement with Linda, from the AK community or the applied kinesiology community. And for people not familiar with the applied kinesiology, I’ll give my interpretational or definition – and I am sorry if I don’t do the job for people who practice AK. But, as I under stand AK, it essentially revolves around using the body as a mechanism for testing. If a patient goes to see an AK provider, they may have some kind of file that would constitute a positive SIBO, and they would have the patient hold that vial potentially over their chest. And then they would have them hold the other arm straight out, and they would press on their arm. And, if there was a weakening of the strength of the arm, that would signify a positive SIBO, for example. SM: Do people also call this muscle testing? DR: Yes, muscle testing would be another term used for it. So, it’s something that’s popular in some circles of alternative medicine. And in my very, very early days, I did some training in AK, and I also saw a couple AK doctors. And, I have to say that, personally, I’m not a fan of AK because my personal experience, and am sorry if that offends anyone who does AK. It certainly isn’t a shot at AK, it’s just because of my personal experience, which, again, I had a really bad amoeba histolytica infection, and I had been working with two different AK providers for months. And, while I did feel a little bit better, they both completely miss the fact that I had this amoeba infection. And it wasn’t until I did some functional medicine lab testing that we actually figure out, ‘Hey, I had a really bad intestinal infection and I needed to treat that. And that was really what enabled me to get better. So, because of that, I may have a little bit of a personal bias against the AK diagnostic method. But, let’s come more so to the question of the ileocecal valve. Outside of what you hear in the AK community, is there any peer-reviewed published science that looks at the ileocecal valve? And maybe I should mention that the ileocecal valve is a valve that separates the small intestine from the large intestine. So, theoretically, it could be an important part of SIBO, because if part of what happens in SIBO is stuff can grown from a small intestine into the large intestine, then the valve that separates these two chambers could theoretically be important. So, after doing a literature search on this, the only study I found mentioning the ileocecal valve in the context of SIBO was a paper published just a few months ago, in 2014. That was the only one that really connected SIBO with the ileocecal valve. There was one mention of the ileocecal valve in SIBO in a paper from 1991,but no real data connecting the two. What this one paper found was there was lower ileocecal tone in SIBO. There was also slower small intestinal transit and a higher pH. So there were a few things that were different in SIBO patients compared to healthy controls, one of which was a weak contractility of the ileocecal valve. So, we are just starting to see some published evidence that the ileocecal valve is involved. However, what that tells about treatments is really nothing – we don’t have any clinical studies showing X treatment had X effect on the ileocecal valve, and that was correlated with X response. That data is completely lacking. There is some data looking strictly at ways one may modulate ileocecal valve tone. And the main paper published here have just shown that short-chain fatty acids may stimulate what’s called ileo motility. So, we want to move things out of the small intestine, so that would be good. And then what’s also known as the ileo break. The ileo break is essentially another way of saying a contraction of the ileocecal valve. They use a term oftentimes in the published literature of the ileo break. But, they’ve shown that short-chain fatty acids may stimulate the ileo break. This is not a study done in a SIBO population. This is only telling us that short-chain fatty acids may stimulate the ileo break. So, can we potentially derive from that any kind of steps to take to fix our ileocecal valve? Well, we don’t know for sure but I’m going to speculate. Because we know that short-chain fatty acids can increase the tone, that would suggest that, if we consume things that increase short-chain fatty acids, we may be able to increase the tone of the ileocecal valve. So, what items can do that? Well, fiber in prebiotics are really the main items that can increase short-chain fatty acid consumption. So, it’s possible that by eating more fiber in prebiotic-rich foods, you may be able to help with ileocecal valve tone, or by supplementing with them, you maybe be able to increase ileocecal valve tone. However, there’s one major caveat here, which is prebiotics, at least in the initial phases, are contraindicated in treating SIBO. So, what I would suggest would be to not bring in the prebiotic and more carbohydrate-rich foods until you are in the reintroduction phase of reintroducing your fodmaps and reintroducing your SCD foods. That will help you from bringing these foods back in too prematurely. So, to zoom out, remember you want to treat SIBO, objectify that it is gone – the breath test, once it’s gone via the breath test you revert to the maintenance mode. Maintenance mode is the dietary changes, low fodmap, or low fodmap SCD along with a pro-kinetic. Once you been stable for a number of months, then you go into a reintroduction of fodmap and SCD foods. When you do that reintroduction, you’re going to be reintroducing foods that are high in probiotics and a little bit higher in fiber. It’s those foods that may have a beneficial effect on the ileocecal valve. The reason why I wouldn’t say (you should go) right into those high-fiber, high-pre-biotic foods right away is because they may make your SIBO worse. Wait until the appropriate time, then bring them in, and hopefully they can have a positive effect on your ileocecal valve. SM: That brings up another good question. A lot of people are talking about resistant starch, so that’s something you would definitely leave out until the very end if you have SIBO. DR: Yes, because resistant starch functions as a prebiotic, which can be good. But, a prebiotic in the wrong context – in the context of SIBO – can be a bad thing. You definitely want to wait on that. SM: And a lot of people know that, if they take a couple tablespoons of potato starch, and they have some very significant stomach problems, they’ll know. DR: And another thing I think is important to mention is you shouldn’t use resistant starch along, because what you’re doing there is you’re giving a very imbalanced supplement of prebiotic. For example, let’s say you are just doing 2 teaspoons or tablespoons of potato starch a day, and you’re not balancing that out with other fibers or prebiotic foods or prebiotic supplements. You’re giving a very one-sided, very isolated dose of prebiotic. And, I think that can be very problematic unless it is balanced out by the other family of fiber and prebiotics. Which is why I always advocate a balanced approach if you’re going to use resistant starch. Ideally you get it from multiple food sources, so that you don’t create a problem. High doses of one thing can create imbalances elsewhere. SM: And that’s why real food first. SM: So, I think that’s all the time we have for today. Thanks for listening everyone. And like Dr. R said in the beginning, bearing with us during this startup phase of the podcast. DR: Yeah, and I guess we got one or two other listener questions on bile acid diarrhea, which is what I spoke about in the recent interview I did with Sean Croxton in the digestion sessions. And we will try to pick up with that during out next podcast. SM: Great. OK, thanks for listening. Do you recommend taking probiotics during the killing phase of treating SIBO? Is it necessary for people to be on the paleo autoimmune diet during the killing phase? I usually use a probiotic during the killing phase, all though that is not universally agreed upon. I wouldn’t say its necessary to be on the AIP diet but I prefer someone to be because it removes any/most confounding variables from diet. Hope this helps! My I C valve was removed during an emergency surgery due to my colon flipping over and intestinal strangulation. After that, I developed a severe case of SIBO, which I think is finally starting to go away (with the help of a functional medicine doctor). But I am concerned (and so is he) about relapse, due to not having a valve. I thought I may be destined to SIBO relapses for the rest of my life. However, this info about the ICC is very interesting–even if I don’t have a valve, do you think if I regenerate the ICC, it would substitute for the valve function? You mentioned something to the effect that the ICC may matter more than the valve, as far as SIBO is concerned? 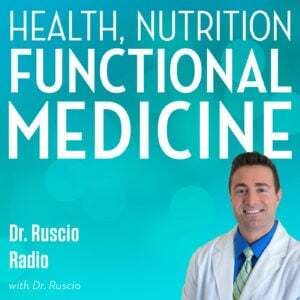 (in Part 1 of this epsode) Also, has there been any new data on the valve/ICC/SIBO since this podcast? Thanks! Your information is very honest and insightful–thanks so much for making it available! I don’t think having your ICV removed means you will relapse. I believe there was one study done, in a group of either humans or animals, who had their ICV removed and they did not find and increase risk of SIBO. Keep on your current track and continue to work on your SIBO, don’t worry about you ICV – just focus on getting healthy and enjoying your life. If you relapse, take steps to get back to remission and then move on 🙂 Hope this helps!